James at Aircraft Differences Training offers one to one flight instruction for Complex aircraft, tail wheel conversions (Citabria), short field/farm strip training and the IMC rating. Aircraft Differences Training has EASA approvals and now has Approved Training Organisation status. Cross channel training available - to meet the Channel Islands NPPL requirements. Based at Gloucester Airport in the UK, the Academy operates in a state-of-the-art purpose built facility and has produced in excess of 300 instrument trained pilots. 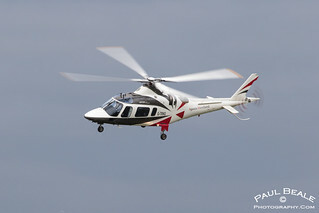 Uniquely as the UK’s largest helicopter charter company the Academy can also offer a career path for students who demonstrate they can meet the highest standards of flying as demanded by Castle Air. The Castle Air Academy is an Approved Training Organisation with over 30 years’ experience, specialising in advanced training for qualified pilots including Instrument Rating, Instrument Rating Instructor, Type Ratings and Type Rating Instructor. Drive in the main Airport entrance and turn left at the Terminal building. You will find us 500 yards on the Right after Image Designs. Clifton Aviation is primarily focussed on promoting the training of Pilots in the most modern aircraft available. We believe that the Cirrus range of aircraft equipped with their state of the art Avidyne and Perspective Avionics matches that objective perfectly. We are able to provide the full range of factory specified Cirrus transition training, including SR20, SR22, Turbo, Avidyne and Perspective avionics. Gift Vouchers for all types of Flight Training training. Call the Heli Air team on the details below to discuss your requirements. CAA In house examiners authorised to carry out Licence Skill Tests, Type Rating Tests, Licence Proficiency Checks and Licence Renewals. Private and corporate charter available in the Robinson R44, Bell 206 Jet Ranger and AS355 Twin Squirrel. Ideal for pleasure flying or travelling to sporting events such as the races, or to weddings, proms, anniversaries, birthdays, or any occasion where you would like to arrive in style. For potential owners, we can provide advice on purchase and hangarage of most types of helicopters. Email mike@poetpilot.com Type of Training Trial lessons in our aircraft over the beautiful Gloucestershire countryside. PPL/NPPL hire of our Eurostar aircraft, with a great "Frequent Flyer" wet hire rate. Friendly & enthusiastic instructors and staff. A great club atmosphere, promoting the adventure of grass roots flying for fun. An information point for all things sport aviation. A Pilot (and non-Pilot) shop selling all sorts of aviation goodies. Hot and cold drinks and snacks. A (club) licenced bar and clubhouse, available for small events and private hire. A club car park and grassed paddock, offering great views of the airport and surrounds. A calendar of events centred on the clubhouse.